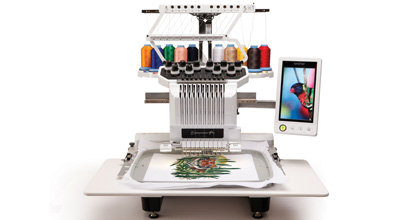 Brother sewing and embroidery machines allow you to execute even the most sophisticated patterns. Cindy-rella’s offers the same machines designers use to create for the runway, with on-site service as well. Come in and see use to create the Disney embroidery projects for your family and friends. Take your skills into business with brothers 10-needle or 6-needle machine! Embroider Caps, boots and more..set it up on a koala cabinet for that professional grade appeal! Demos in-store!